Watch our selection of the best goals from the Premier League in January, including Alexandre Lacazette, Calum Chambers and Andre Schurrle. 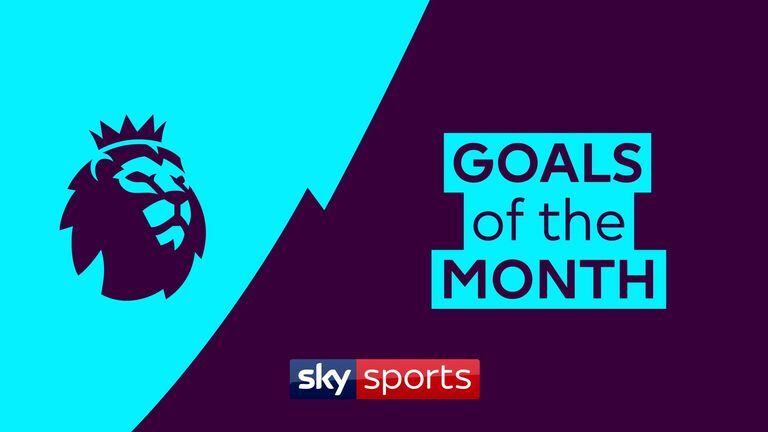 Who scored the best goal in the Premier League in January? Watch our picks and vote for your favourite. Alexandre Lacazette scored a pair of memorable goals in January. He slotted away a well-worked team goal against Fulham on New Year's Day. When Arsenal hosted Chelsea, the France international scored from a tight angle to put the hosts ahead in the 2-0 victory. It was a month filled with some fine half-volleys. Andre Schurrle's dipping effort in Fulham's 2-1 defeat to Burnley at Turf Moor was one of the bright sparks in their difficult Premier League campaign. His team-mate Calum Chambers showed he's no stranger to a fine strike with a superb driven attempt against Brighton. Callum Wilson helped Bournemouth to a 2-0 win over West Ham with a pinpoint half-volley. Tom Cleverley's acrobatic late winner against Crystal Palace, Marcus Rashford's tidy finish at Wembley to see off Tottenham and a brilliant solo goal from James Ward-Prowse against Everton also feature.